For a trouble-free move to Roseville, Meathead Movers is the company for you! Our professionally trained student-athlete movers are ready to get you into your new Roseville home. Welcome to Meathead Movers of Roseville! If you are moving to or from anywhere in Roseville, we are the moving company for you! Our professionally trained student-athlete movers and our moving concierge service are here to help you with every stage of your move in Roseville. Just 16 miles from Sacramento, Roseville is a charming town in Placer County. With a rich Gold Rush and railroad history, Roseville has almost always been a prospering city and continues to prosper today. The city has a diverse economy which allows the city not only to survive but prosper. Businesses range from technology, to healthcare, to agriculture, to transportation, so you can rest assured knowing that there is plenty of work opportunities here. Besides having great opportunities for working, there are plenty of leisure opportunities as well. Check out anyone of the city’s cultural and entertainment venues to take a break from busy everyday life. Stop by the Magic Circle Theater for live entertainment or visit Old Town Vernon Street for live music and shopping every Tuesday. Golfland Sunsplash, Denio’s Farmers Market and Swamp Meet, or any one of the city’s museums also offer great opportunities for family funs. 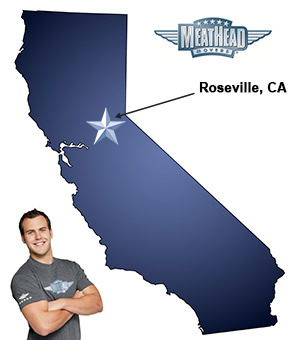 If you are considering a move to Roseville, Meathead Movers is here to help! Our moving company specializes in local, long-distance, and commercial moves to, from, and within Roseville. We also provide reliable packing, storage, on-site relocations, and our distinctive moving concierge service. All our student-athlete movers are thoroughly screened and trained before their very first move. With branches not just moving in Roseville, but all throughout California, we are your one-stop resource for all your moving needs, no matter where your California move takes you. In fact, you can see what your neighbors in Roseville have to say about us! With our 100% satisfaction guarantee, the only thing you have to lose is the stress that comes from moving! So contact us today for a free no-obligation moving quote and to learn how we can help you on your next move! Moving to Roseville? Here are some helpful resources. Very friendly, super responsive, very efficient, well organized, thoughtful movers. Very professional on the part of yesterday's movers. Your movers were professional and courteous! They were always eager to go the extra mile to make the move less stressful. Loved their enthusiasm and knowledge! Would use this team again in a minute!